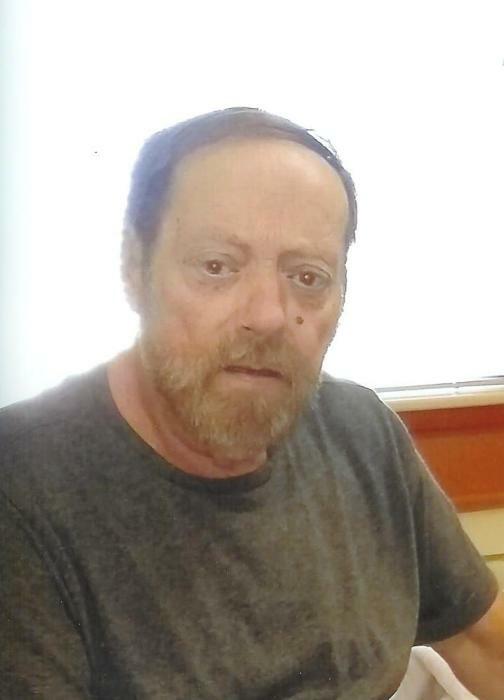 Terry Lee McDiarmid, 64 formerly of St. Johns, MI passed away at Sparrow Hospital in Lansing on Sunday, February 10, 2019. He was born on April 4, 1954 in Corunna, MI the son of Allan and Phyllis (Rinnger) McDiarmid. Terry graduated from St. Johns High School and was a U. S. Navy veteran. He worked as a lawn sprinkler installer and repair man. Terry is survived by his son, Corey McDiarmid of Fenwick, MI., God daughter, Courtney Barber of Eureka, nieces and nephews, Leah, Mason and Lexie Forbes and Blain and Mallory Elliott. Nieces,Laura Moucha and Gail Tadych and nephews, Brian Tash and Larry Tadych. He was preceded in death by his parents and son, George in 1997. Services will be held Mt. Rest Cemetery on Thursday, April 4, 2019 at noon.